President of Czech Republic accuses Norwegian authorities to “Nationalize” Czech children when taken into public care. 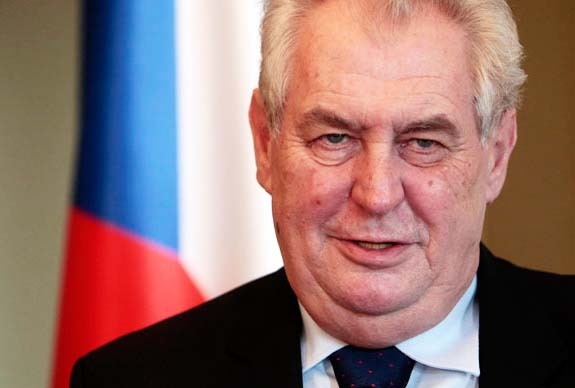 Czech Republic, Miloš Zeman bell Norway as a new center for Nazism in Europe. In 2011, a woman with Czech background deprived custody of their two sons of child welfare services in Norway. The case – and the ensuing controversy between the Norwegian authorities and the biological mother – has been repeatedly discussed in the Czech media. – The boys are in foster families, which resembles Lebensborn. Their mother gets hit them for 15 minutes twice a year, and she is not allowed to speak Czech to them, he says in an interview with the newspaper. – Raising them as Norwegians Nazi Germany “Lebensborn” program was founded by Heinrich Himmler during WWII to drive eugenics. The aim was to strengthen the Nordic race portion of the German people, and it was created own maternity homes and other support for unmarried mothers who were deemed racially valuable. Through the program, children were born outside marriage, but that still was considered purebred, adoption to German parents. President Zeman Norwegian authorities to deprive their children Czech heritage. – Children are de-nationalized of their Chech culture. The Norwegian system teaches them to become young Norwegians, he said. Kjetil Moen, Director General of the child welfare department of Children and Equality will not comment on the statements of the Czech president. – Statements falls on its own weight and I would therefore not comment on them specifically, Moen says. There were riots in New Delhi protesting the Norwegian governments kidnapping of children. Journalist Blesk, Ladislav Leimer, told VG that there has been huge interest in the case in the Czech Republic. – The thing is big here, since there is no reason to take the Czech children from their mother, claiming Leimer. – Our readers are angry at the Norwegian child welfare services. There are plenty of similar cases in Europe, it is always the same: The CPS takes children from foreign parents, without any evidence, to give them to foster families. – There is a close cooperation between various Norwegian authorities on these matters. Norway has tried to refute unfounded allegations, says Moen on. The Norwegian child welfare has been sharply criticized in several countries in recent years, particularly in Eastern European countries have been strong reactions. In 2012 took to the streets campaigners at Norwegian embassies in several Russian cities to protest against around 15 child care in Norway. They believed that the Norwegian authorities deprived Russian mothers custody of “ridiculous” basis, according to TV2. In 2014, accused the Russian Ombudsman, Pavel Astakhov, Norway for “child terror” on the basis of the handling of several cases involving children with Russian background. 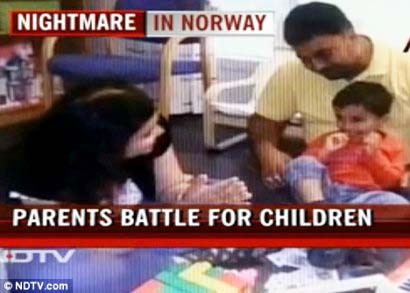 Also in India, Norwegian Child Welfare been the subject of criticism. In 2012 let a parents interviewed about his fight against the system – they thought namely that they were deprived of the care of their children because of cultural differences. The case was in the Indian media described as “the Norwegian nightmare.” Both the Indian president and foreign minister involved in the case, which led to several diplomatic dilemmas for the Norwegian foreign service. It seems odd that Hitler was dark haired and dark eyed trying to make a world of blonde haired blue eyed people. What did he say,” the bigger the lie the easier it is to believe” is it just too obvious? Now what was the real agenda? Yes, it is a mystery. The Nazi leaders in Germany did not look like proper tall, healthy, family centered, white, blue eyed arians. The lebensborn, the perfect Nazi, had to be produced and breeded in Norway. Hitler was like a cartoon in his young days, a failed painter, who attracted mostly drunkards in a pub in Munich in 1922. Goebbles was a small pingle of a man, limping and raising children looking like of slavian origin. Herman Goering was a fat, sigar smoking mafia boss. The Sturm leader Ernst Røhm a known sodomist. A full camp of Røhm’s Strum troopers were slaughterd by Himler in 1934. During the “night of long knifes”. Himler him self struggled with disabilties, metal illnesses and was almost blind. The spirit behind Nazism enabled them to almost conqure the World. The claimed diety behind Nazism is Satan. According to the bible the real Satan masquerades as an Angel of light. So the Nazis make the imposter Angel of light look good? If Satan lost where did O come from? It gets complicated to think of being as we are in the dark for now but the day of judgement is ever approaching. I take this passage to be referring to such a day. Yes ,and many men of different faith and race came in unity to fight that beast.